The first text presented here, written by James I of England, is a wide-ranging discussion of witchcraft, necromancy, possession, demons, were-wolves, fairies and ghosts, in the form of a Socratic dialogue. The second text is a sensational historical account of Scottish witch persecution. The English used is old style English which makes for rather hard reading, but it's a fascinating book if you can get used to that. 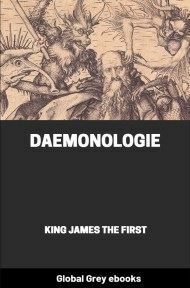 THE Dæmonologie of King James, the Sixth of Scotland and First of England, was written, as the Royal author states in his Preface, to prove that 'the assautes of Sathan are most certainly practized, & that the instrumentes thereof, merits most severly to be punished.' Such a work has more than a passing interest. 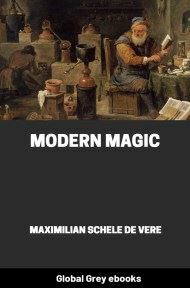 It gives the student of history and literature a brief and authoritative guide to the darker beliefs of our ancestors; there is, too, much to interest the theologian and the psychologist, whilst the philologist will find the book a mine of rare and curious phrases. To the modern mind, after three centuries of scientific discovery, many of Epistemon's arguments will appear somewhat naïve, and, it must be confessed, that Philomathes, in his laudable efforts to draw out his companion's erudition, sometimes puts questions which are very inadequately answered. 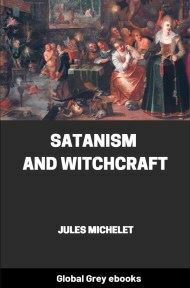 Our greater discernment and weaker faith will scarcely be convinced by the example: 'Thirdly, said not Samuell to Saull, that disobedience is as the sinne of Witch-craft? To compare to a thing that were not, it were too too absurd.' Still, given the implicit belief, the conclusions are not illogical. King James makes many shrewd observations, and the twentieth-century medium would probably confirm 'that there are twentie women giuen to that craft, where ther is one man.' The explanation (given on pp. 43-4) would not, perhaps, be as readily accepted. 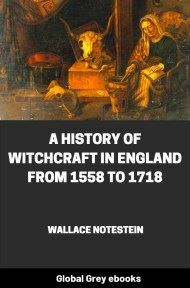 The Newes from Scotland, which is also included in this volume of the Bodley Head Quartos, claims to give a true account of a very notable witch trial wherein King James took a prominent part. The influence of the 'revelations' then made can clearly be seen in the Dæmonologie. Although at first sight the cruelty and barbarity of the whole business is revolting, it must not be put down as solely due to panic and terror. These poor women when their heads were 'thrawen with a rope according to the custom of that Country' were ready to confess anything, but the credulity of the judges was understandable after Agnis Sampson had drawn the King aside and 'declared vnto him the verye woordes which passed betweene the Kings Maiestie and his Queene at Vpslo in Norway the first night of their marriage, with their answere each to other.' Even a stouter hearted scholar would have found remarkable confirmation of his worst fears in this alarming revelation. Moreover, in destroying the Devil's ministers the King really thought that he was only carrying out his plain duty towards God. Of King James himself one of the most vivid accounts is to be found in a letter of Sir John Harrington, describing an audience which he had with the King. 'Soon upon this, the Prince his Highnesse did enter, and in muche goode humour askede, "If I was cosen to lorde Haryngton of Exton?" I humblie repliede,--"His Majestie did me some honour in enquiringe my kin to one whome he had so late honourede and made a barone;" and moreover did adde, "wee were bothe branches of the same tree." The he enquyrede muche of lernynge, and showede me his owne in suche sorte, as made me remember my examiner at Cambridge aforetyme. He soughte muche to knowe my advances in philosophie, and utterede profounde sentences of Aristotle, and suche lyke wryters, whiche I had never reade, and which some are bolde enoughe to saye, others do not understand: but this I must passe by. The Prince did nowe presse my readinge to him parte of a canto in "Ariosto"; praysede my utterance, and said he had been informede of manie, as to my lernynge, in the tyme of the Queene. He asked me "what I thought pure witte was made of; and whom it did best become? Whether a Kynge should not be the best clerke in his owne countrie; and, if this lande did not entertayne goode opinion of his lernynge and wisdome?" His Majestie did much presse for my opinion touchinge the power of Satane in matter of witchcraft; and asked me, with much gravitie,--"if I did trulie understande, why the devil did worke more with anciente women than others?"' . .